Well, I am unwell. I fell terribly sick last week. Got fever, which even reached to 103F, body ache, cough and throat infection. The fever has reduced, but I am still weak. 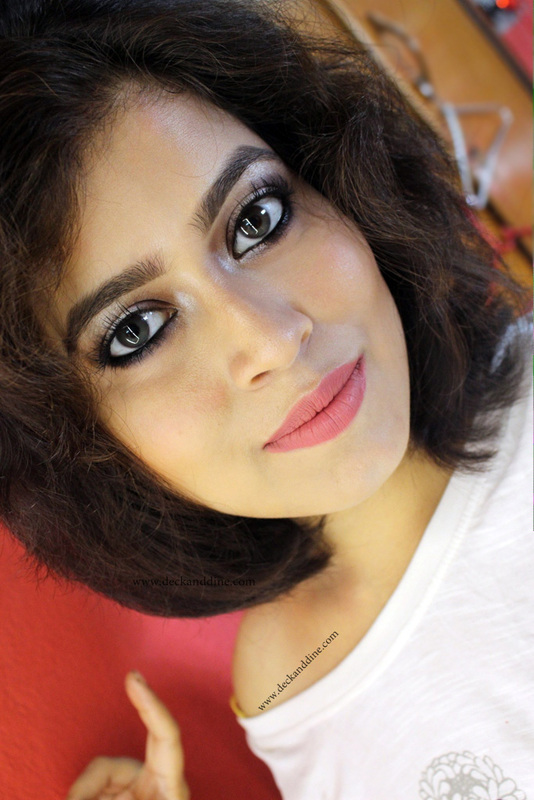 Coming back to today’s post, it is on a review of a product from the house of Elizavecca. Elizavecca is a well-known Korean beauty and skincare brand and as many of you already know, they were kind enough to send me a few of their bestselling products to try and review for you all. 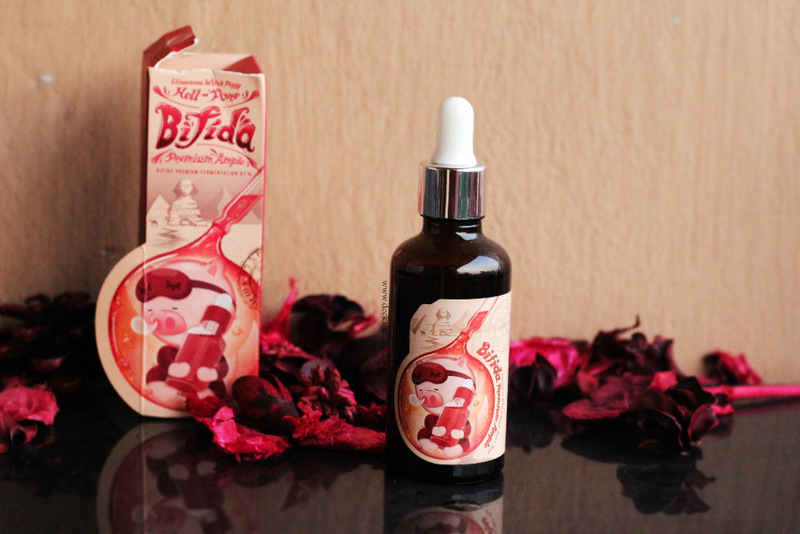 We have already reviewed ElizaveccaVita Deep Power Ringer Face Mask Review, Elizavecca Tea Tree Deep Power Ringer Mask Pack and Elizavecca Milk PiggyHell-Pore Bubble Blackboom Pore Pack and today on our review table we have Elizavecca Witch Piggy Hell-Pore Bifida Premium Ample. 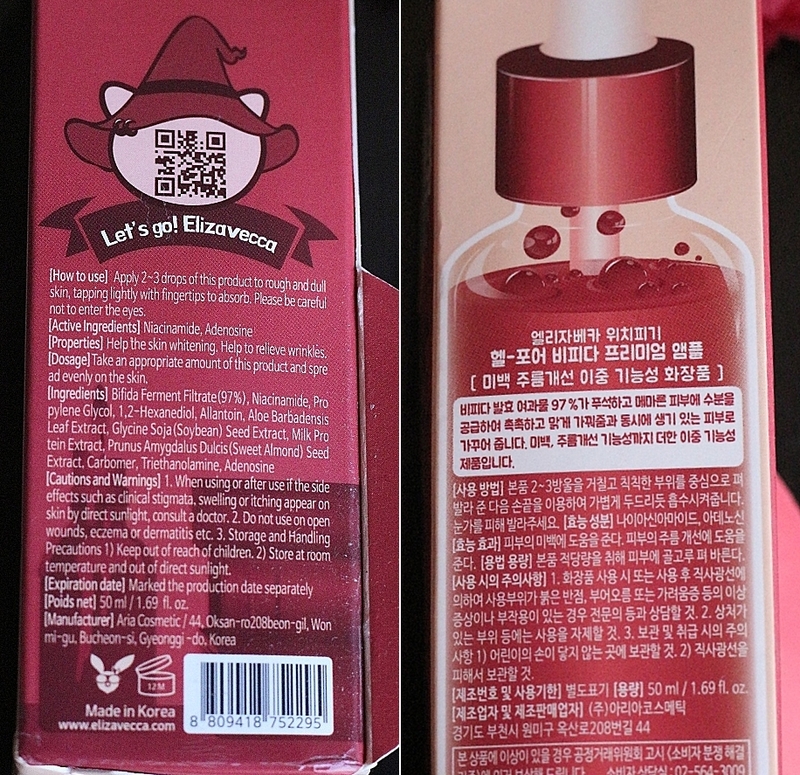 30,000 Won, around 2000 INR for a 50ml bottle. The serum comes in a glass bottle with a dropper cap attached to it. The glass bottle further comes housed in a Elizavecca’s signature quirky cardboard box. The dropper makes it easier to apply. The directions and ingredients are written mostly in English, but I wish the claims were written in English alongside Korean. 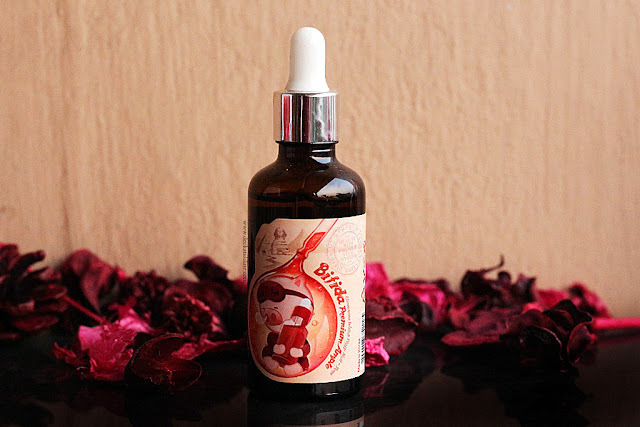 Claims and Ingredients:- Helps in skin whitening, moisturizing and fighting signs of ageing. At night, I use few drops of this on cleansed skin and pat gently till the serum gets well absorbed. I wait for around 5 minutes and then follow up with my night cream. Let’s start by talking about the look and feel of the product. The ample is a clear liquid and with a consistency tad bit thicker than water. It gets absorbed into skin pretty fast and doesn’t leave any residue. You won’t even realize that I have applied something on skin. I use it right before sleeping and wakeup with fresh glowing skin in the morning. It boosted my skin’s hydration and brightness. It diminishes dullness and with continuous use you can even see a visible tightness of skin around lips and eyes. My mother-in-law had drooping skin around mouth and it improved to quite some extent. I could see a visible reduction of her sun-spots as well. I love how it increases the efficiency of other skin care products. On days when I don’t feel like applying anything heavy on skin, yet want my skin to feel hydrated, I just apply 2-3 drops if this and my skin feels just fine. I have even applied this as a primer for my makeup base. It mixes well with different products and can also be used alone. 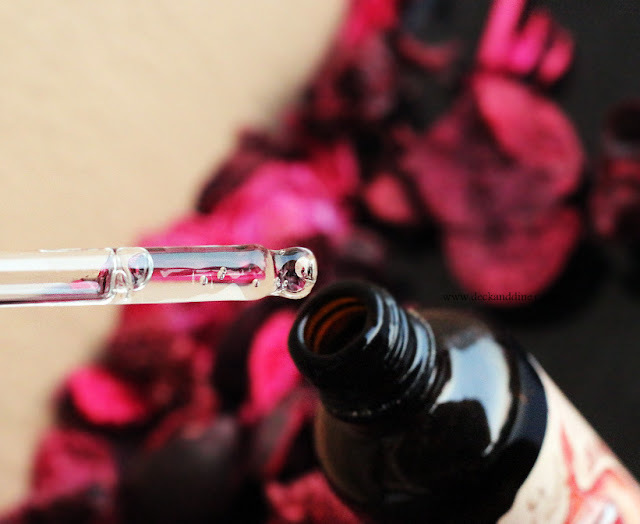 This is our first ever ample serum and naturally we were very much intrigued to try it. You won’t notice any remarkable difference from the first use, but don’t lose hope and keep using this. It takes time, but trust me, it is worth the wait. *PR Sample. But review is honest as usual. sounds like food for skin :) i wanna try it.. This does sound like a worthy product to try out. I don't have drooping skin but I have a few areas where the skin isn't feeling as tight as it used it - going to give this a try and I hope it helps.